House Sparrow Fine Nesting offers an array of textile designs in macrame and natural dyes for your wedding and reception. Choose the perfect piece to rent for your celebration. Or, come up with a design all your own and unveil it at your event—then take it home to cherish for a lifetime. Macrame wedding backdrops, arches, and hanging tables add a soft, rustic touch to any special event. Whether you like bohemian or modern designs, House Sparrow offers a wide selection of possibilities to suit your tastes, including custom-design options. Rental or custom designs available—delivery, too. 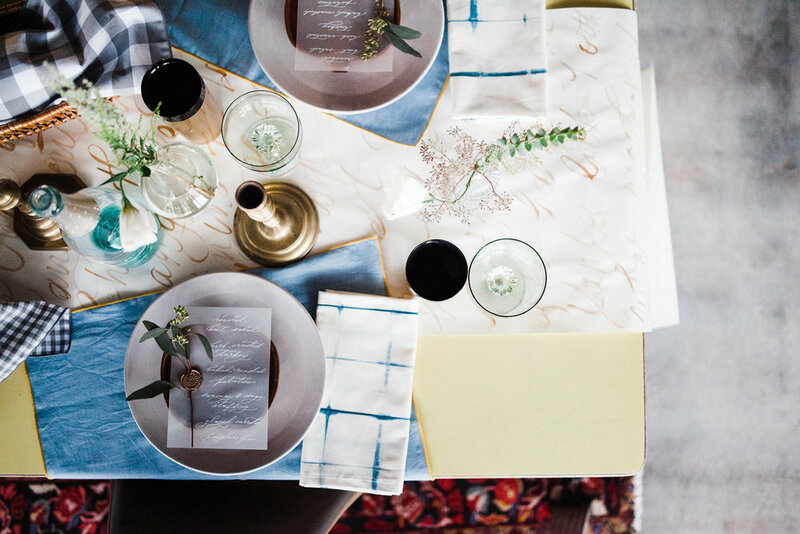 Invite nature to your celebration with House Sparrow custom-dyed table linens and fabrics for backdrops. No matter your wedding colors, we know which plants to collaborate with to create stunning, eco-friendly textile pieces dyed especially for your big day. Keep these pieces as a keepsake for your new home together.